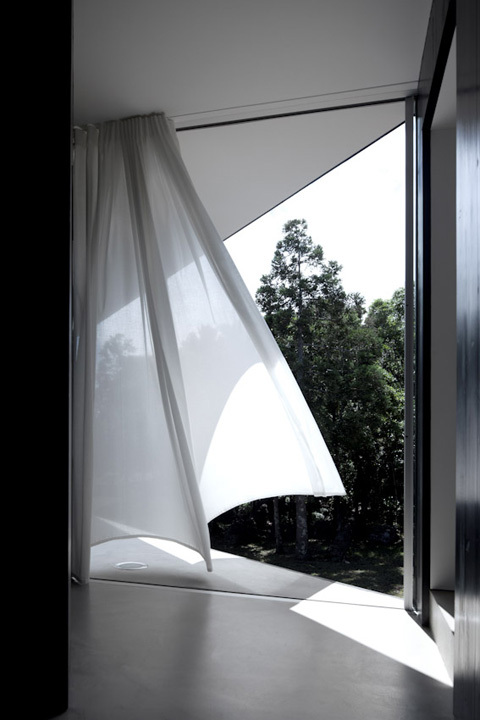 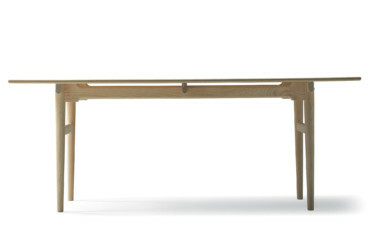 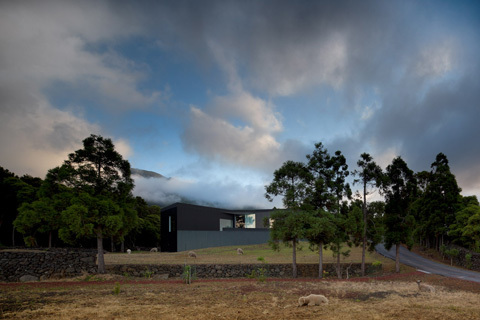 The Pico House is located on the eponymous island in the Portuguese Azores. 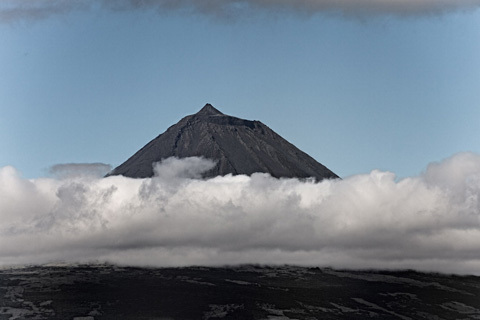 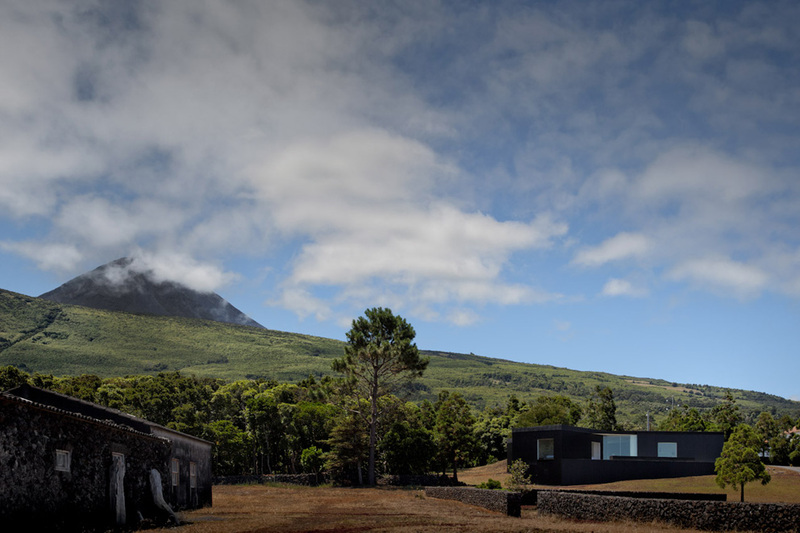 The architects at SAMI devised a detached house for a young family - located in the heart of the farmland so defined by the presence of the volcano. 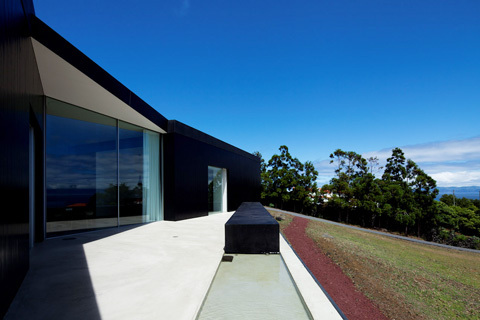 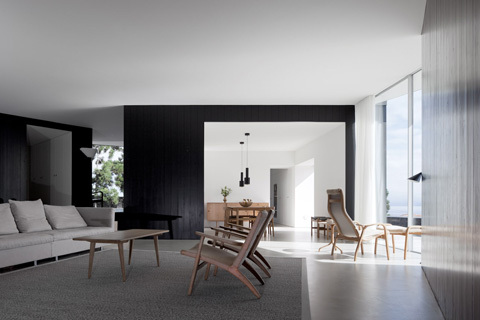 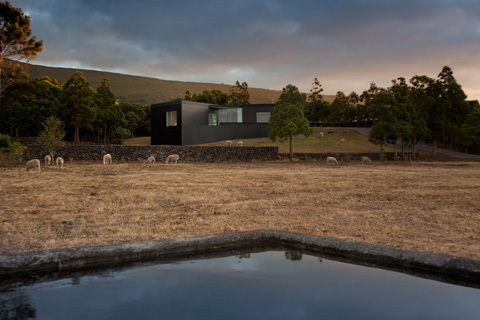 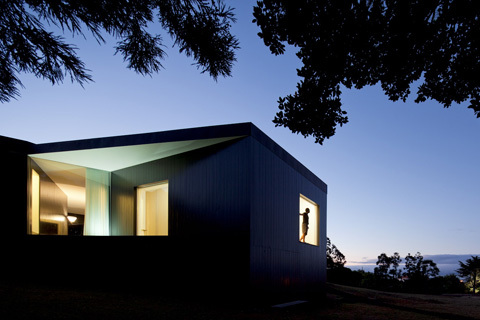 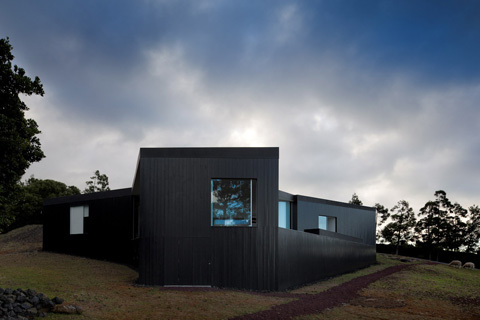 With its black exterior the house references the Ponta do Pico, the 2,350-meter-high volcano that is Portugal's highest mountain. 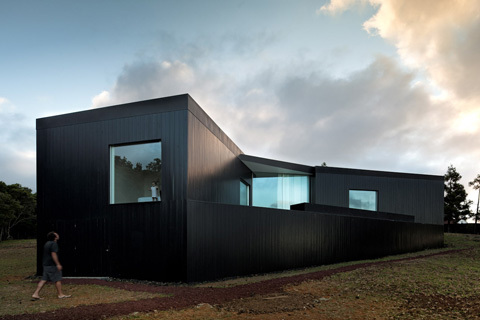 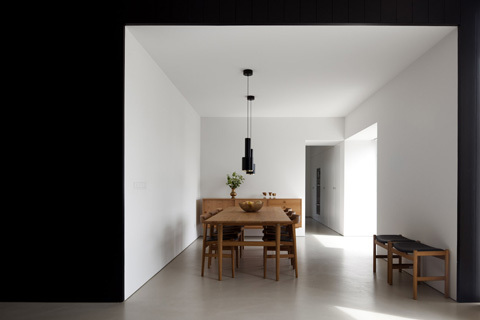 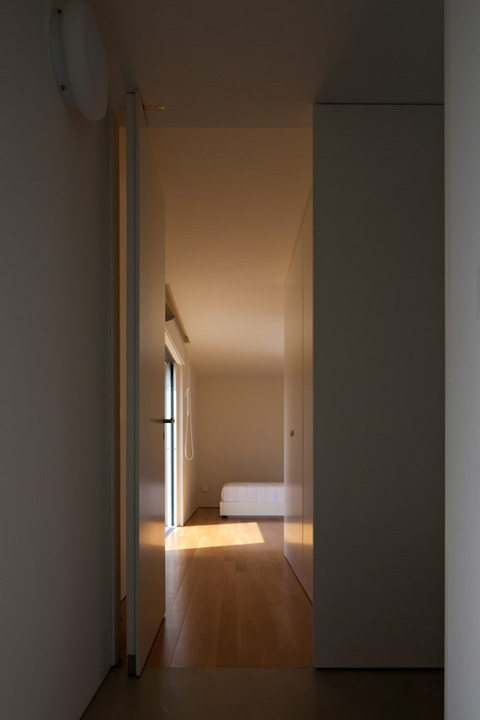 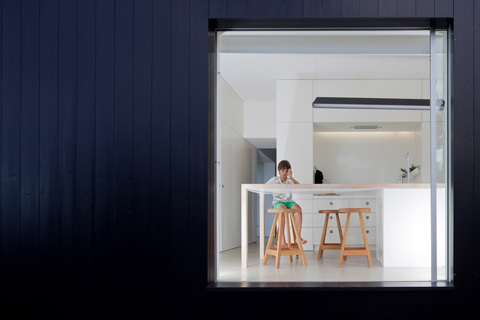 The black façade of wooden paneling is broken up by narrow profiles. 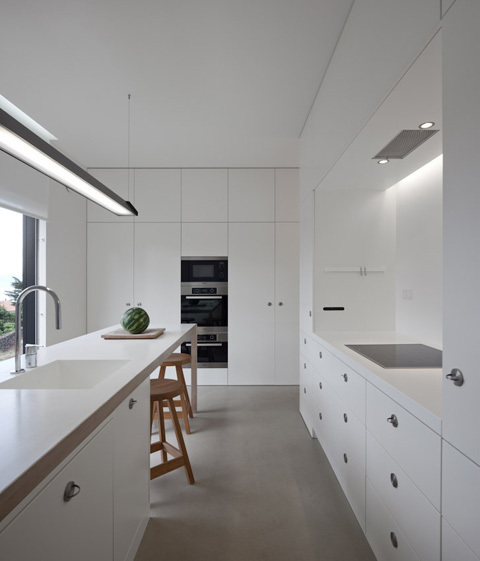 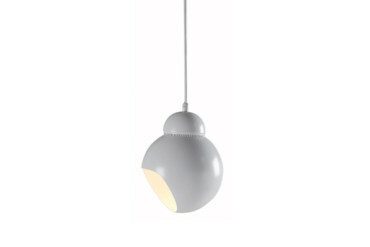 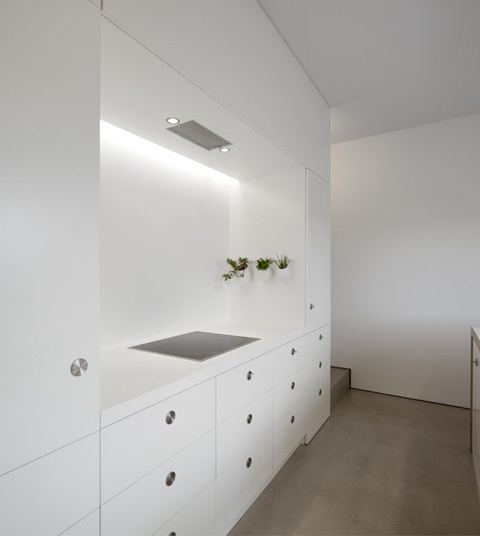 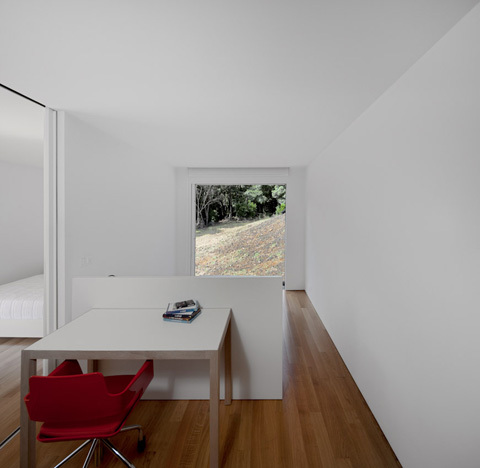 Through the large openings we can see the gleaming white interior. 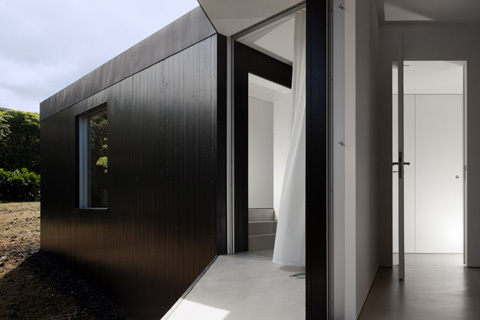 The entrance to the building is located on the patio that is configured like an atrium. 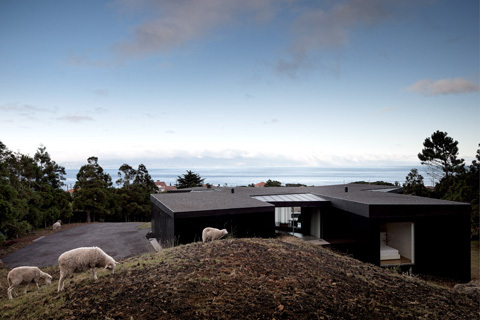 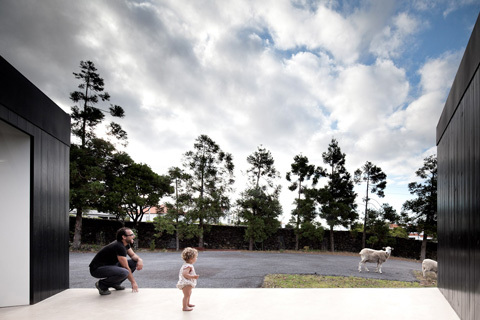 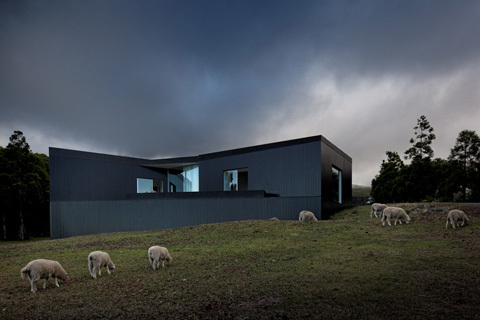 Portuguese architectural photographers Sérgio and Fernando Guerra have captured the place - along with one of the herds of sheep so typical for the region. 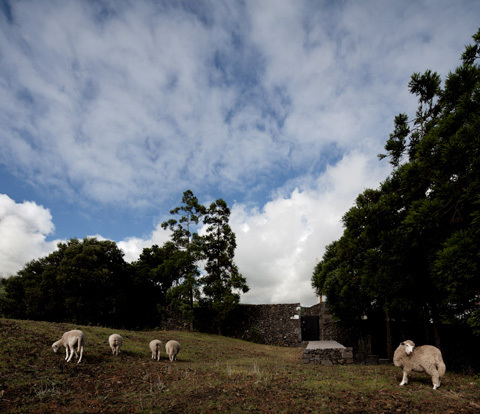 The shots are in part staged and in part authentic – and all of them seek to convey a sense of the no-frills rural setting.